Click on the "Add to Cart" buttons below for each product you would like to purchase. 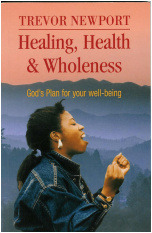 “Spiritual, powerful and practical. This book not only inspires but challenges you to live several notches above the famine of mediocrity. 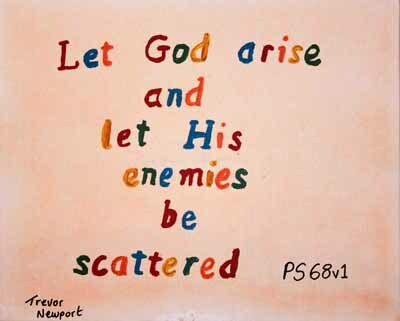 – Apostle George Johnson, City Embassy, Vancouver, B.C. 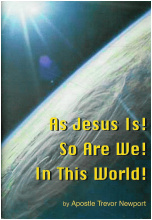 This book is endorsed by C. Peter Wagner, Founder of the International Coalition of Apostles. Many people including Christians find themselves living a life that is so far below what God intended. 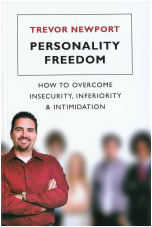 Many struggle with inferiority, insecurity and intimidation which hold them back from finding their calling in life. So many are shy, reserved or crushed in spirit and think that they can never come out from hiding. The real person is locked inside you but many things seem to prevent you from becoming the real you that God wants you to be. This book is deeply searching and was written for the thousands of people who seem to achieve so little and are always held back from moving forwards. This is a must read if any of this relates to you. FREEDOM IS WAITING FOR YOU! 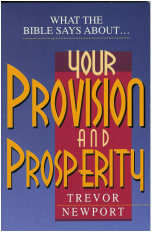 This book is a more detailed one following on from Trevor’s highly successful book called ‘What the Bible says about your Provision and Prosperity’ which is his second best selling book! 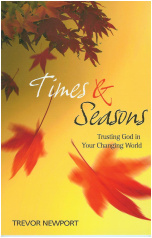 This book shows clearly the power of all of our seeds which is God’s way of increasing His kingdom in every respect. This book gives you step by step ways to get out of debt which has become an epidemic in today’s society. It also shows you how to sow specific seeds for kingdom projects to further the work of God. It explains how to protect all of your seeds sown so you can keep on increasing in every way and it will open your eyes to a whole new way of living, helping you to bless others along the way. 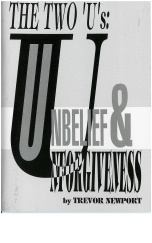 The major cause of failure in the Christian walk, UNFORGIVENESS and UNBELIEF. 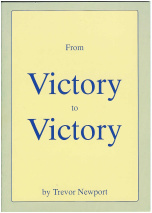 This booklet will help to guide you to eradicating both of these from your life! Every person on the face of the earth has a chance of being successful in something. However, very few people seem to achieve great things for one reason or another. 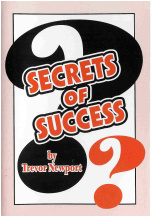 This booklet will help you to find out what to eliminate from your life which hinders success and also what to incorporate into your life to produce lasting results. I once heard someone say that the best way to learn how to pray was to pray! I assume that the person meant that as you start to pray the Holy Spirit will teach you as you are actually praying. I would certainly agree with this statement up to a point but there are some definite Scriptural principles that we need to learn to assist us in this great adventure of prayer. Over the years the LORD has graciously taught me different ways of praying for different situations and I see so much fruit in this area, that I was quite excited when the Spirit of GOD commanded me to write about prayer. 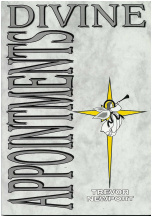 My heart’s desire as you read this book is that you will be able to eliminate the usual pitfalls regarding praying and begin to enter a new dimension of joy at seeing results from your praying that will motivate you to pursue this awesome ministry to its full extent and become a mighty prayer warrior that makes devils tremble! 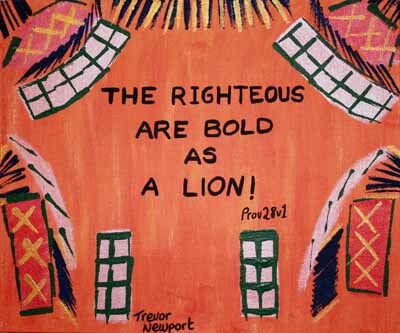 Trevor has pastured 3 churches and is currently the head pastor of LIFE CHANGING MINISTRIES in Stoke-on-Trent, which he pioneered in September 1991. 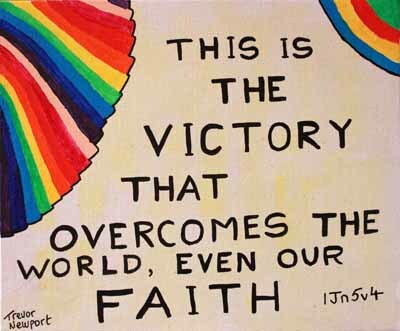 From Victory to Victory recounts some testimonies and experiences Trevor has had during his ministry and walk of faith and how he has proved that GOD always causes us to be victorious in CHRIST. The major This revelation will take you higher in your Christian walk and should affect every area of life to bring about greater victory than ever before. 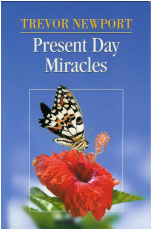 You will want to read this booklet again and again to refresh you and so gain a deeper understanding as you go on in life. 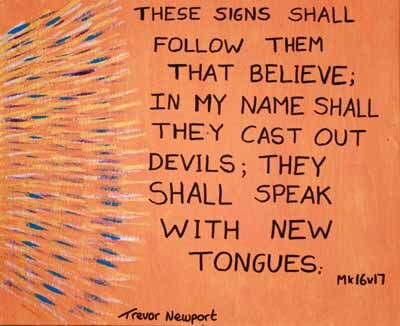 The devil is always trying to bring us down to his level. 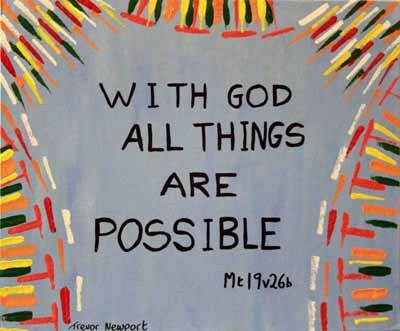 However, the Lord is always is trying to bring us up to His awesome level. 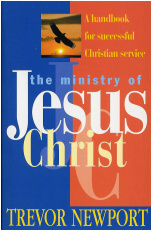 Study, meditate and inwardly digest the material in this book until you can confess with all authority that; AS JESUS IS, SO AM I IN THIS WORLD! 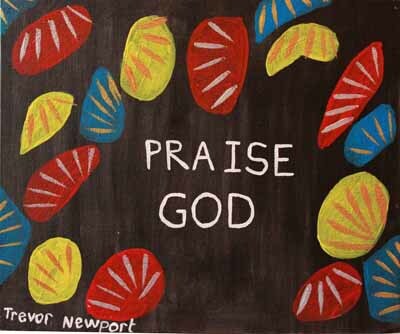 Over the last 20 or so years I have been involved in pastoring 4 churches, visiting many churches in Britain and many countries overseas speaking in churches of all types, traditions and denominations. 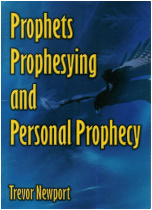 I have witnessed a wide variety of prophetic utterances, prophecies both public and personal. I have seen the genuine and I have seen abuse of all such! The reason why the Spirit of the Lord has directed me to write this book is to help to eliminate many of the fundamental mistakes that so many precious believers make time and time again in their ignorance. We need to grow up in all things, particularly in this area. My prayer is that this book will help those who have never stepped out in the gift of prophesy to begin to discover this wonderful ministry to the body of Christ. It is also to help those who have fallen into some of the pitfalls to bring correction and fruit instead of frustration! Years ago in a conversation with a precious Christian from another church in our city, I was shocked to discover that she had been a believer for about 10 years and had never heard about fasting. As I have read the Bible over the last 24 years I see that fasting is mentioned many times both in the old and new testaments. 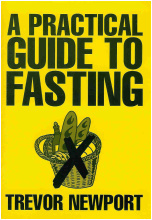 However long you have been a believer I trust that this book will help you to gain as much from fasting as I have over the years. Be prepared for a challenge! 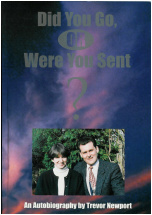 Did you go OR were you sent? This is the life story to date of Trevor Newport. 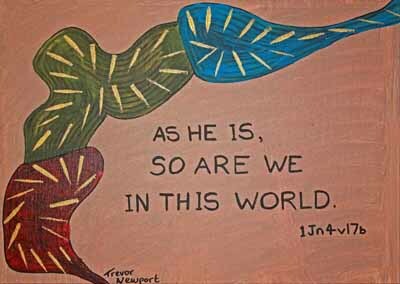 In it, you can find out about how the Lord called him as an apostle and sent him all over the world (he has spoken at churches in some 35 countries spanning all six continents). 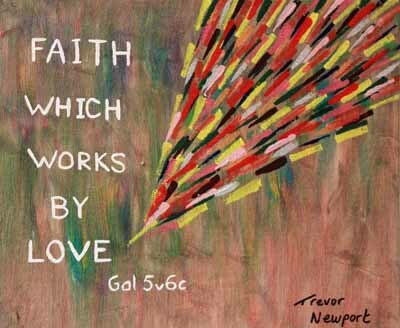 Hearing Trevor’s story will challenge your faith, and also make you laugh- God has a sense of humour! Trevor’s wife Ruth has also written a chapter on him – so you can hear about the real Trevor! 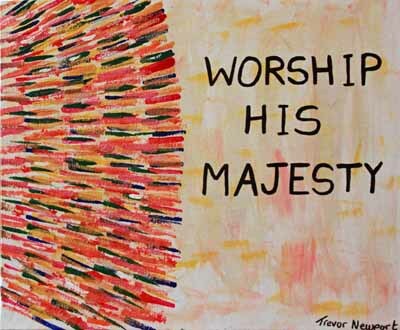 Trevor believes that God desires every Christian to walk in Victory and bear much fruit. 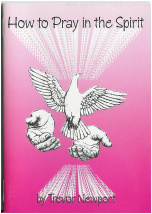 This book is a practical one to help eliminate striving and walk in the supernatural power of the Holy Spirit. 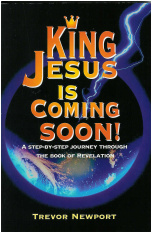 There are many churches where the subject of the Book of Revelation is never mentioned. This has always concerned Trevor since it is as much a part of the Bible as all the other books. You will discover that the last book of the Bible is a rich treasure which will greatly increase your understanding of ‘end time studies’ and provoke you to a deeper walk with God and a burden for the lost souls of our generation. 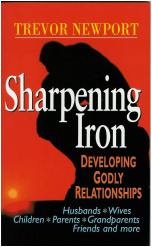 Have you always wanted to be a strong, healthy, mature warrior for Christ? Do you want to walk by faith and not by sight, walking in vistory, not defeat, walking in divine health not sickness, growing in the fruits of the spirit, used in the gifts of the spirit, having your prayers answered? Maybe you've never quite been able to live out the truth of God's Word. In this book you will find teaching on the basis principles of God's Word, teaching that will set you free, that will help and encourage you to follow Christ's example and be a serious disciple of Jesus, that will cause you to pray and desire to see revival in our land. 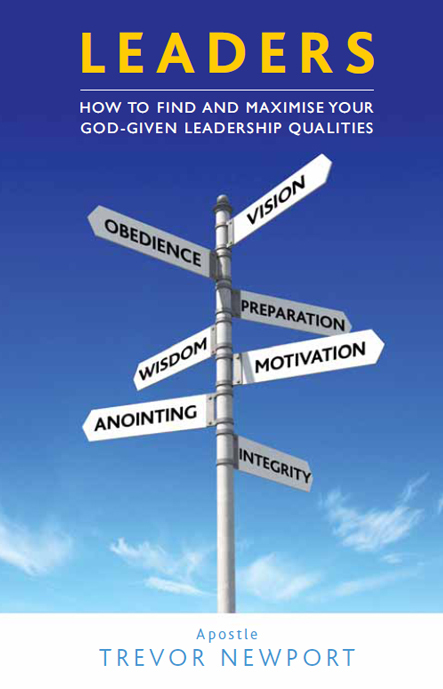 Do you wish you could be more effective as a minister, or just in your everyday Christian Life? I have learnt that the vital ingredient necessary for this is THE ANOINTING! 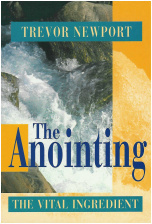 The Holy Spirit gives many different anointing for all kinds of activities in the kingdom of God. Many think that we can “get” the anointing by going to the next big meeting! But there are important steps we need to take before a strong anointing can be released in our lives. The reason for this book is to heighten your awareness of these anointings, enabling you to become more sensitive to them and hence more fruitful. In a world where more and more people feel lonely, isolated and confused about relationships, a foundational question for Christians is how do we develop and keep Strong, Godly relationships. In this book Trevor Newport illustrates the biblical principles that will help every believer prosper in their relationships. The church has accepted the world’s thinking that it is impossible to live debt free. 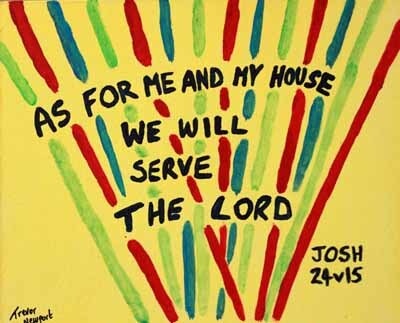 God shows us in the Bible how to receive His divine provision in every area of our lives. This book will provide challenging insights into managing your finances as a believer ion today’s world. 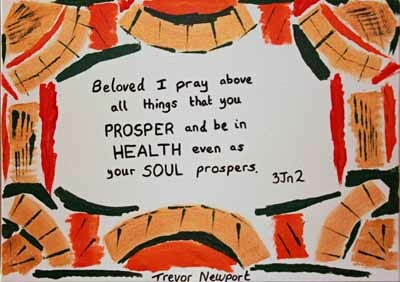 When you realise what the Bible says about your provision and prosperity, it will set you free to fulfil your destiny. 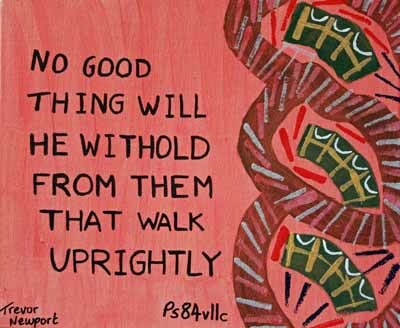 I pray you will have the courage to decide to walk God’s way. 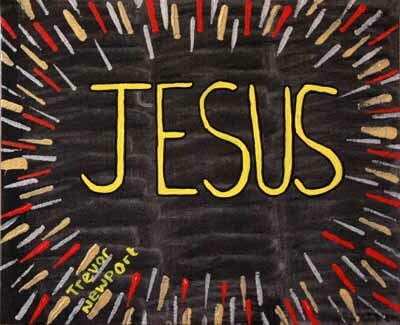 Jesus operated in absolute faith during his earthly ministry. 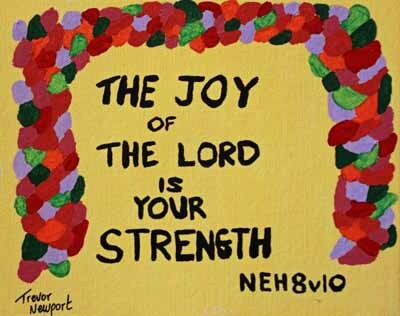 There was no doubt, fear or hesitancy in the way he responded to life’s challenges. This must be the goal of every believer and the desire of all our hearts. 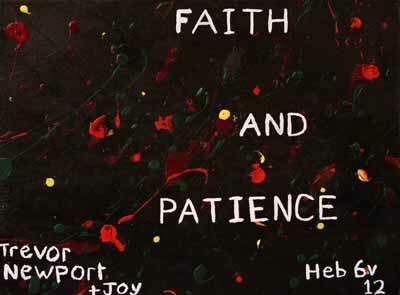 Faith, however, comes in stages and grows as we use it. 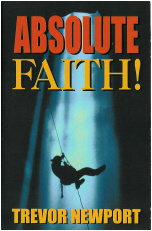 This book will help your faith to grow and give you the courage to take steps that you have never taken before. 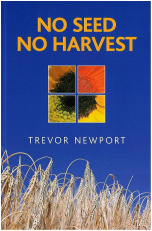 This Best Selling book from Trevor Newport uses examples form the Word of God and Trevor's personal experiences in ministry for those who want to learn more about the important but often misunderstood ministry of deliverence, and spiritual warfare. 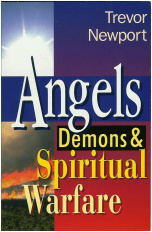 In this book you will find teaching on what the Bible says about angels, deamons, deliverence, spiritual warfare and who we are in Christ, along with practical examples of how, as Christians, we can overcome the works of the devil, and walk in victory every day. The original title for this book was going to be Apostles Are Here To Stay, because God is restoring the office of apostle back to the Church all over the world and in all streams of the Body of Christ. 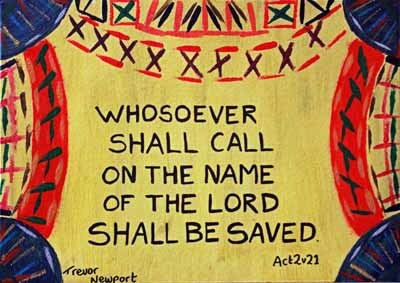 Whereas there are just two references to the ministry of pastor in the New Testament there are 48 to apostles. Their ministry is essential. Understanding who they are, what they do and the signs of God’s anointing on them are as important for the church now as they have ever been. 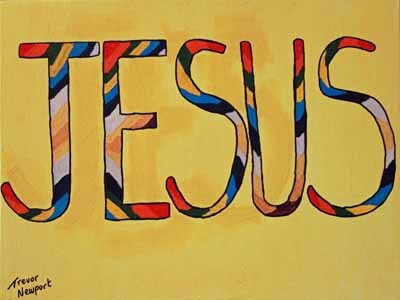 They are needed alongside all the other ministries for the Body of Christ to function in the way God intends. Trevor has always had a quest to see the miraculous power of God at work in people’s lives and he has seen countless miracles of healing, deliverance and financial miracles. 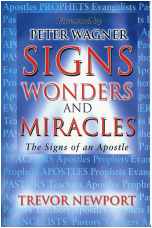 This book will strengthen your faith and give you hope for your own miracle and also to help others. 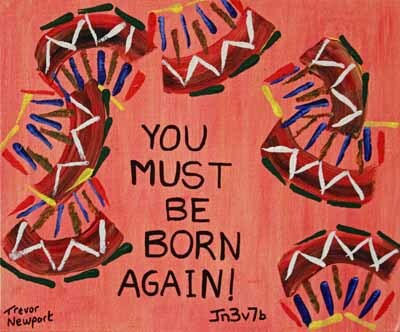 Every one of us will live through various times and seasons in our lives, because times and seasons are part of God’s creation and plan for our spiritual walk. 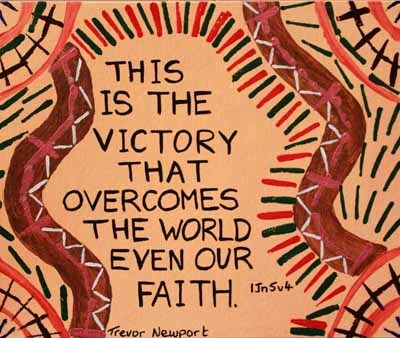 In this book Trevor Newport shows us that it is possible to live in victory in any season as we learn to trust the Lord and rejoice in our circumstances. God is so gracious and powerful that He can turn the most awful set of circumstances around to bring glory to His name and give us an amazing testimony to encourage others. 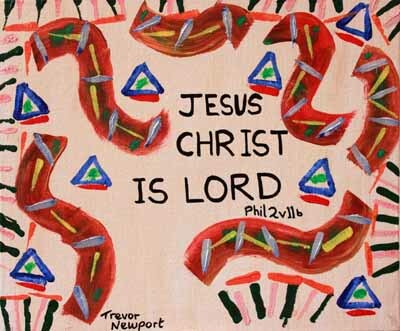 Trevor has recently felt led to produce scripture based artwork,intended to showcase some of his favourite scriptres in memorable ways. The original paintings are also for sale, and if you are interested in purchasing an original, please contact us about pricing and shipping arangements. 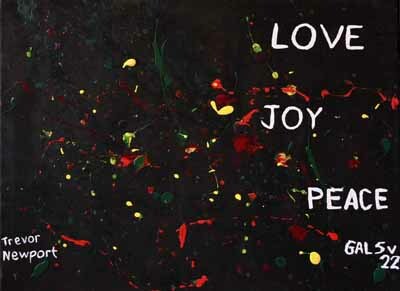 The products below are high quality prints of the original paintings. Small prints are approximately 6"x4"
Medium Prints are approximately 12"x8"
Large Prints are approximately 24"x16"